Among different types of parenting styles, hyper-parenting has become a bigger trend in the past few years as life in general has become more competitive. According to Exploring Your Mind, hyper-parenting is the result of an educational model that is mainly seen in affluent societies. The article says that the trend emerged in the United States, where competitiveness prevails. Parents in the US feel strong pressure to make sure their children are successful in life, so strong that some parents go so far as to reserve a spot in an elite preschool even before the child is born, and just a little later on start to secure a place in an Ivy League university. Kompas.com quotes Dr. Alvin Rosenfeld, who graduated from Cornell University and Harvard University medical school, who says that hyper-parenting keeps children away from the fun things in life. This type of parent often worries about their child’s life when there is actually nothing to worry about. Meanwhile, Dr. Terri Apter, a psychologist, writer and former senior tutor at Newnham College, Cambridge, was quoted as saying that parents have to maximize the potential of their children from an early age so that they will not become disappointed in the future. The Education and Culture Ministry’s Forum Sahabat Keluarga (Family’s Best Friend Forum) lists six negative effects of hyper-parenting. Nurul Mufidah and Muhammad Rifqi, in their research titled “Hyper-parenting effects toward child’s personality in Stephen King’s novel Carrie”, point out a number of hyper-parenting’s negative effects. Children who have been nurtured by those parents may have low self-confidence, become less independent, give up easily, and feel anxious and scared of their outside world. “They may also become socially awkward,” wrote the researchers. The two researchers also write that hyper-parenting may cause children to become emotionally rigid and difficult to control. A child who is also burdened with many rules and tasks will have his or her energy drained, which may affect health. Ian Janssen from the School of Kinesiology and Health Studies, Queen’s University Canada, conducted a survey towards 724 North American parents of 7 to 12 year olds. 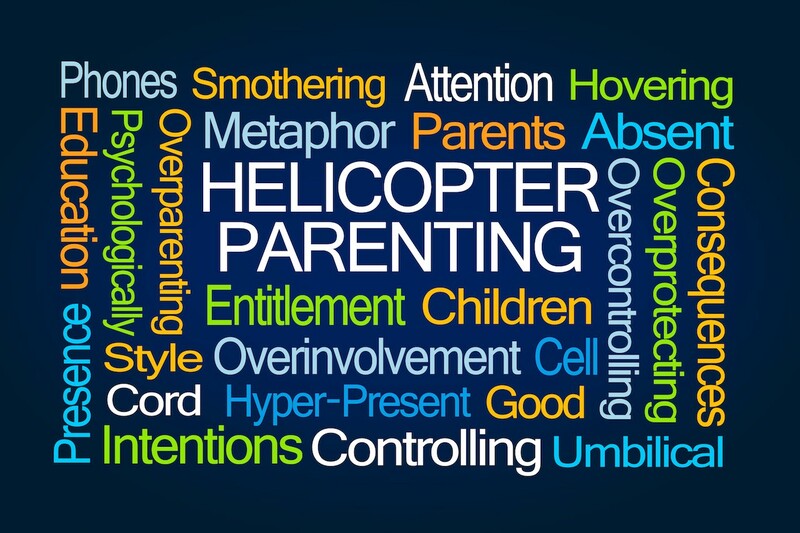 The survey assessed the parents’ engagement in various hyper-parenting styles (helicopter, little emperor, tiger mom and concerted cultivation) and their children’s frequency of playing outdoors, walking or bicycling and playing organized sports. Hyper-parenting styles, the survey found, are associated with lower physical activity among 7 to 12 year olds, whereas according to the World Health Organization (WHO), children and youths aged 5 to 17 should accumulate at least 60 minutes of moderate-to-vigorous daily physical activity. The required physical activity is important to improve cardiorespiratory and muscular fitness, bone health and cardiovascular and metabolic health biomarkers. Parents’ habit of directing their children can create youths that are too obedient and thus unable to develop their talents and potential. Many tasks from parents and rules that limit their activity may potentially pressure them and lead to depression. Stanford Dean and Julie Lythcott-Haims in the book How to Raise an Adult: Break Free of the Overparenting Trap and Prepare Your Kid for Success wrote that children who are not given enough freedom by their parents can become easy targets for bullying, whether at school or in the neighborhood. Bullying happens when a child fails to communicate well with his or her peers. Meanwhile, rules and tasks that are given by [hyper-parenting] parents may preoccupy the child. It slowly pulls the child away from his or her social circle, causing a negative effect on his or her communication with peers. Hyper-parenting is also associated with limitations for children in enjoying outdoor activities. Hyper-parented children are often not allowed to play in nature as parents are worried that the place is too dirty. On the other hand, research published in Journal of Allergy and Clinical Immunology found that children who live in a relatively sterile environment are more prone to allergies and asthma.